Which news sources young Americans find most credible might surprise you. Buried on page 14 in the "Edelman Trust Barometer 2008", an annual survey of trust related issues conducted by international PR giant Edelman, is a tiny bombshell that every business magazine publisher needs to see. When Americans, ages 24 to 35, were asked "How credible is each source for information about a company?" Business magazines ranked #1, Wikipedia was #2. Obviously this is a great study to show if you are selling advertising in a business magazine, but it also documents that trust exists in both traditional and new media. If you are selling an integrated package this study documents that trust can come from a variety of online and offline sources. 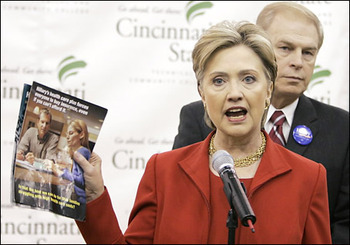 Many credit Hilary Clinton's Presidential Primary wins in Ohio and Texas to her controversial "Red Phone" ad designed to raise doubts about Barack Obama's experience on national security. Despicable sleaze? Clever politics? Love the ad or or hate it, what I saw was a common sales tactic that every media sales rep uses at some time in their career. When you sell a product where the outcome cannot be predicted, like a presidential candidate or a media buy, raising doubts about your competition, aka "playing the fear card," is an effective way to win business. If you are in a competitive sell where you have the more established, better known, or widely accepted product you can ask "what if" questions to raise doubts about your competition in the mind of your media buyer. 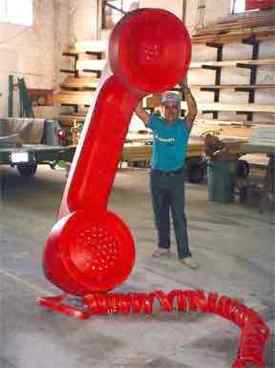 Clinton's ad raised asked "what if" an inexperienced president got a 3 AM Red Phone crisis dropped in his lap. "What if your ad campaign fails because you did not cover a key demographic (that my media covers better)?" "What if your ad campaign fails because you bought the cheaper media whose circulation is poor?" "What if you ad campaign fails because you bought the cheaper media upstart instead of the media with the proven track recored?" "This is an important media buy. If it fails a lot of people could get hurt. Hey, remember the old saying from the 80's computer industry , "No one gets fired for buying IBM." Don't push too hard. If your "sales technique" shows you will be branded as a manipulative huckster. To play the fear card you stoke the latent anxieties of your buyer but never overtly say the anxiety is totally justified. After you leave their office you just want them to worry about their media buy if it isn't with you. Hilary Clinton, behind in delegates and the polls for the Democratic Presidential nomination is taking the offensive. Shown here today taking to task a Barack Obama campaign brochure she claims spreads misinformation about her health care program. Voters will react as they always do; ignoring criticism about people they like and embracing it against people they don't. It is easy to forget that few American Presidents were more widely criticized than Ronald Reagan, but it all just slid off the likable "Teflon President" without a scratch. The minimally funded Swift Boat attacks of the 2004 Presidential election stuck to John Kerry like glue who many demonized having criticized American Vietnam policy, and seemingly to many, the troops as well. Hilary's case will stick not on merit, but on how likable voters perceive her Vs. Obama to be. Judging by how well her campaign's "plagiarism" criticism stuck last week I would guess not well. On your next sales call you may think that being likable is not so important, after all we now sell in the measurable world of digital media. Aren't results more important than everything? Think again. On the surface your clients are rational business people, but when criticism flies people are more likely to evaluate on the emotional side. They will ask, "Do I like them, do I trust them?" The next time something goes wrong (and something always does) how much will stick to you will depend on how well liked you and your organization are. "All lies and jest. Still a man hears what he wants to hear and disregards the rest."